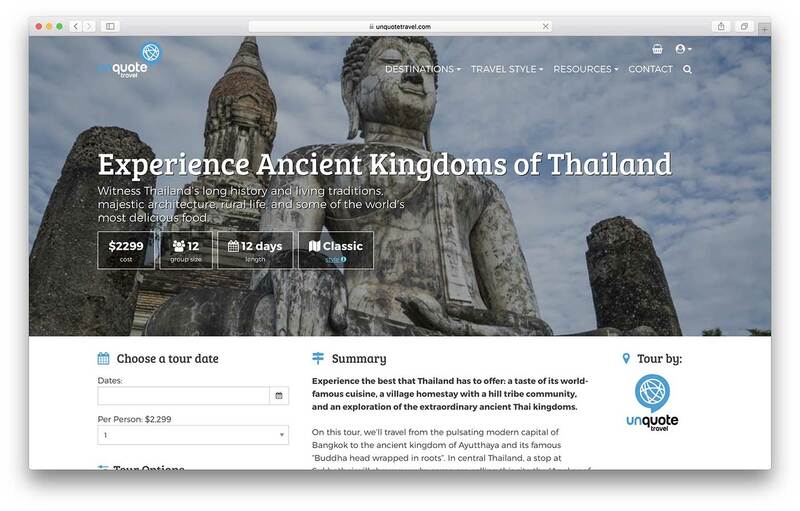 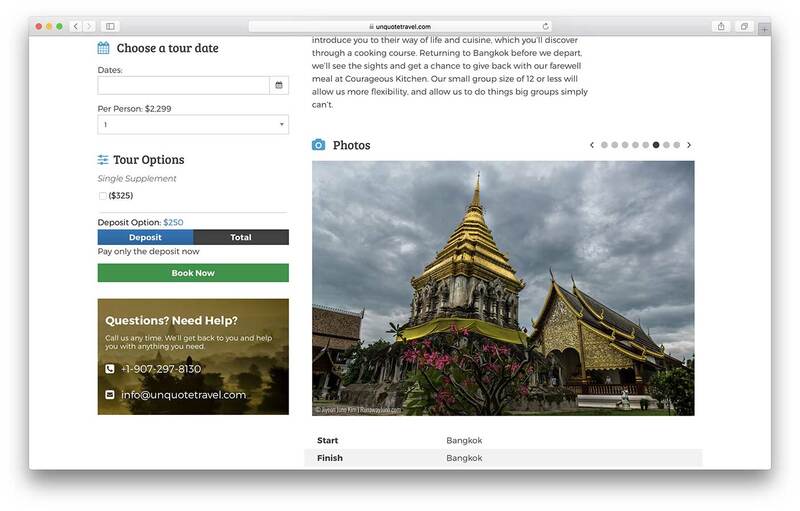 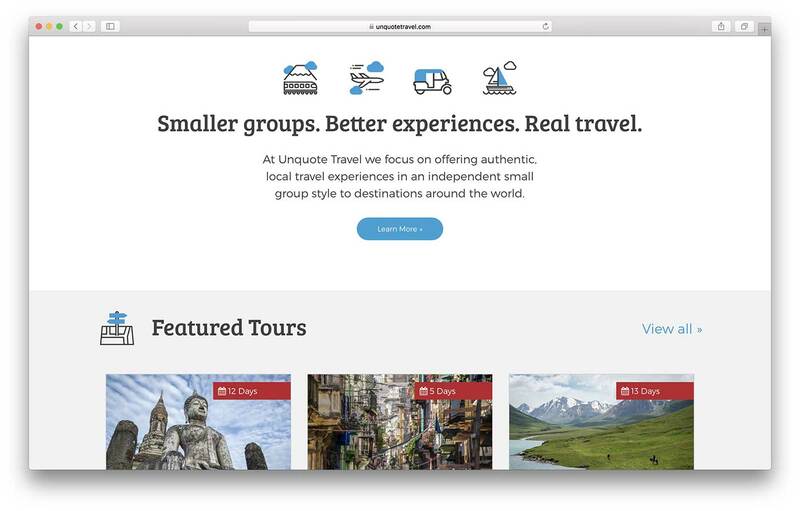 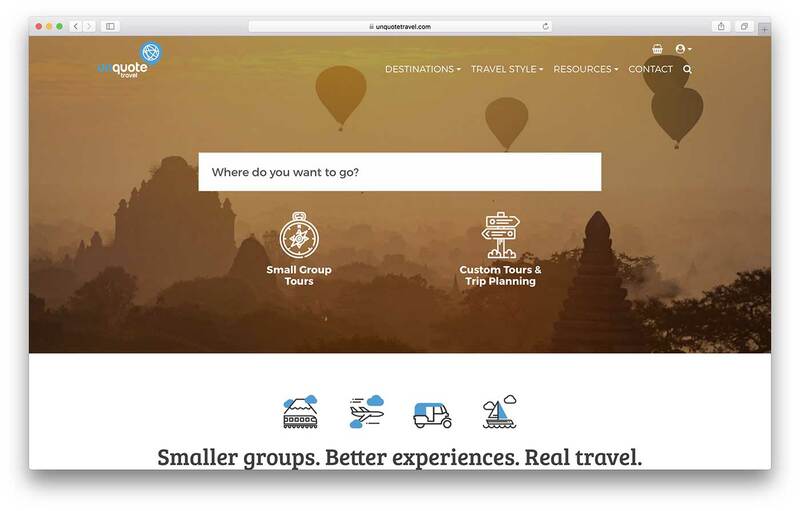 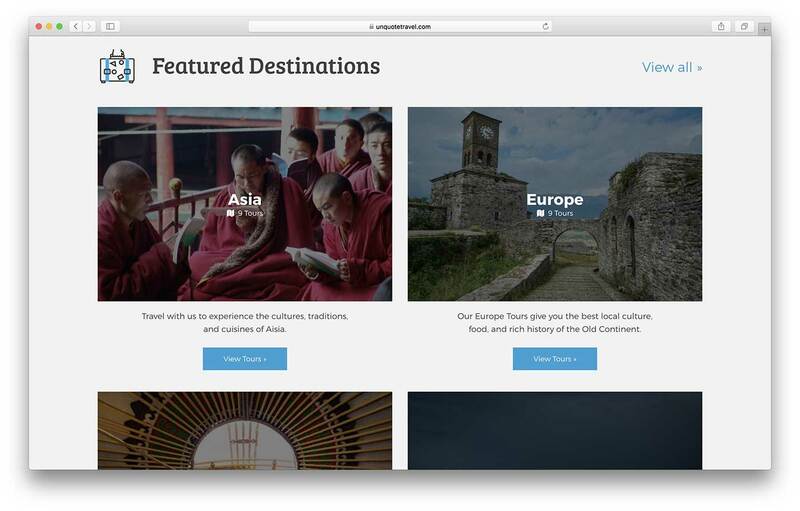 The owners of Unquote Travel approached me wanting to re-build their site to be more client-friendly and modern. 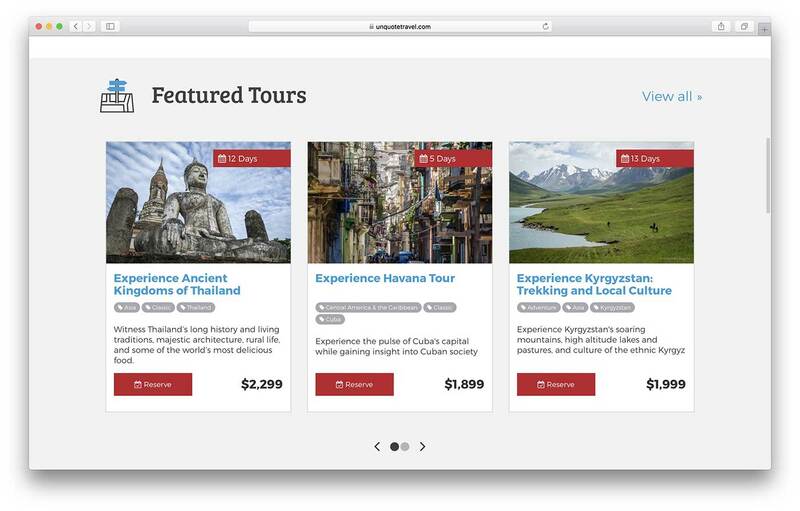 Their old tour site was hard to maintain, and had a lot of technical issues. 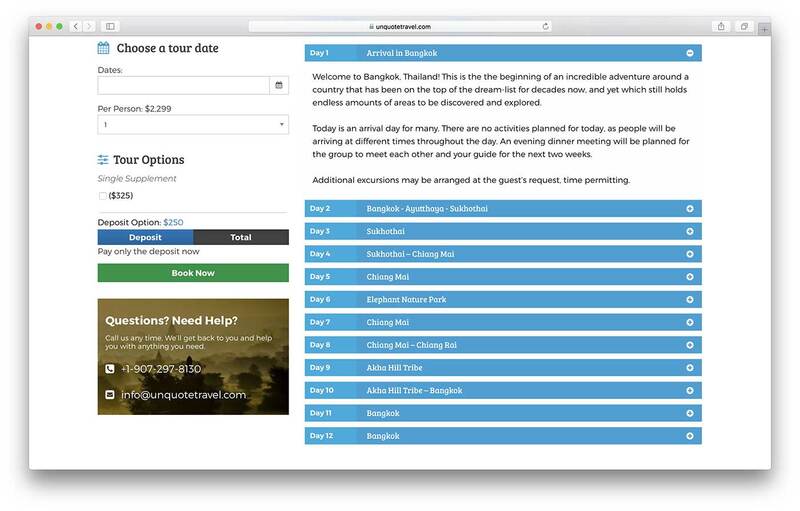 They needed a system that made it easy for their potential clients to reach them, and that would also integrate well with external tour aggregator services.